Online calculators are a great tool for financial educators to show how certain financial habits can impact your life. These 5 calculators below are some of our favorites for introducing students to basic personal concepts. Saving for a new MP3 player, a new snow board, or your first car? This savings calculator from www.themint.org allows you to calculate what it’ll take to reach your goal. The Lifetime Income Calculator from the Department of Labor allows you to calculate how much you will need to save and earn to meet your retirement goals. Having enough money in a savings account for emergencies is a fundamental lesson in personal finance. 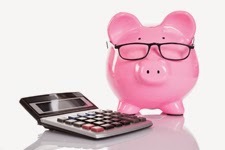 This calculator from the American Institute of CPAs helps you determine how much emergency savings you may need, and how you can begin saving toward this important goal. One of the biggest decisions for those entering college is how to finance their education. This calculator from the New York Times offers a guide to the borrowing picture at various institutions — and what it takes after graduation to repay the loans. This calculator from Bankrate.com allows you to calculate how long it will take to pay off a credit card. See how adjusting your monthly payment impacts how long it takes to pay off your balance.